Based in Sofia, Bulgaria; Atanas Vilner runs one of the best car customization garages in the region. His specialty? Interiors. While often forgotten by customizers, Atanas pays special attention to the interior to create a capsule of relaxation and contentment. To him it is what separates you from surroundings via a sensory and visual simulation during the drive. 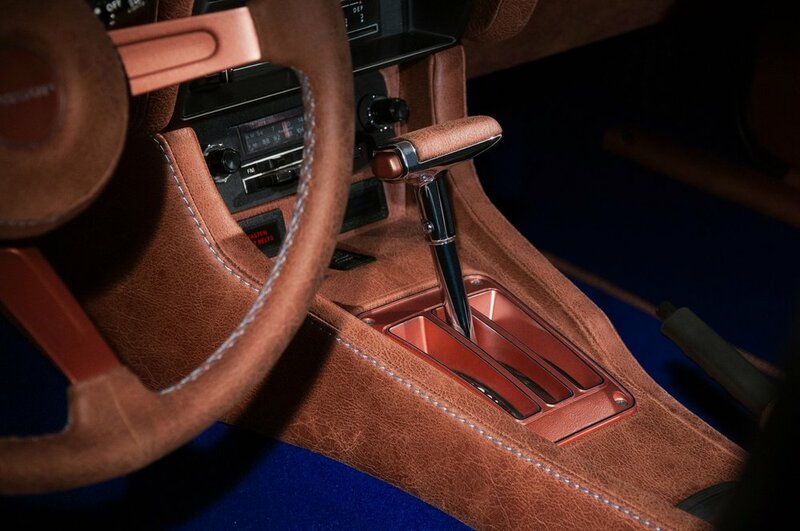 With over 22 years of practice, self-taught Vilner has created multiple projects of different natures; inspired by craftsmanship, nature and often forgotten car designers. He started work at a young age when he purchases a beat up car with a torn interior. Taking it to all the garages he could find, they all said that it couldn't be done; so he decided to do it all by himself. The R-M Code project started with a white rose color, which Bulgaria is famous for. As the work carried on, the rose started to wilt and acquired a unique coppery color. This lead to the color developed, the “Copper Rose”. The color will be applied to one of the most legendary and sought-after Japanese sports cars of the 70s; the Datsun 280Z. Customizing every aspect of it, Vilner has completely reimagined the experience of the drive from the exterior to the interior. Working on the car for 5 years already, the car is customized to a microscopic level of detail and finished in industry-leading car paint provided by R-M Paint.